The most important day of your life is coming up. You may well have been dreaming of how it could be in the nature, hills or with a beautiful Umbrian sunset in the background. We will make your dreams come true. Relax, escape the hassle, and enjoy this special moment with family and friends. We will take care of everything to make your wedding joyful and romantic. Choose from a simple, romantic wedding for two or a lavish ceremony and reception for you and your guests. Create a romantic wedding with an intimate dinner for two or a lavish ceremony and reception for you and your guests. Choose your special location in Umbria - one of the many beautiful towns such as Perugia, Assisi, Todi, Città della Pieve, Spoleto, Gubbio, Norcia, San Gemini, Trevi, Spello, Orvieto. Choose from the series of options available to build the wedding of your dreams ! Choose from the full range of Historical Mansion, Historical Villas, Luxury Hotel, Historical Residence available to rent in Perugia and in Umbria, to live a special time in an exclusive context of absolute quietness. Choose from the full range of Catering services and Restaurants, they are at your disposal to accomplish your request. Choose from the full range of Agencies that can help you organize your dream wedding. Choose from the full range of Musical Entertainment Service for wedding and professional wedding Photographers. In Italy Weddings Piazza Principe Umberto 6/a - 06089 TORGIANO (Perugia) Tel. 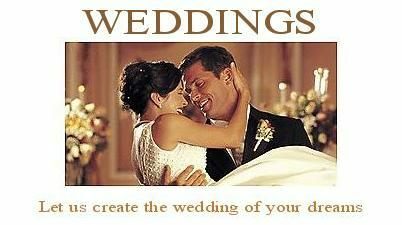 +39 075.9880180 Fax +39 075.7823269  ChocoWeddings.com organize every kind of ceremony in all the most romantic venues & scenic destinations in Italy, offering to our clients the best in terms of quality/price. We will be happy to assist you 360° to create your package for your wedding in Italy (from the flight tickets to the land arrangement, from paperwork to the smallest detail for your wedding, from your wedding reception to your magical honeymoon!). Historical Villa il CASTELLARO Str. Ponte Felicino-Ponte Pattoli 44E - 06135 PERUGIA - Italy - Tel. (+39) 075.5941166 Mobile (+39) 347.1222191 Fax (+39) 075.5941166  The Historical Villa il Castellaro is the ideal setting for your dream wedding. Refined, elegant and appealing, the Historical Villa il Castellaro is perfect for functions and events. An exclusive venue for a romantic wedding in Perugia, combining the opulence of a historical Villa with extensive grounds, tree-lined avenues, a formal garden and authentically traditional Umbrian cuisine. For an unforgettable wedding reception in Perugia. Dal Moro Gallery Restaurant Assisi - loc. S.Maria degli Angeli, Via Santarelli - 06088 (Perugia)Tel. +39 0758043688 Fax +39 0758041666  ASSISI, Italy - Celebrate your Wedding with Us! We at Dal Moro Restaurant would like to take this opportunity to thank you for considering us to celebrate this exciting and momentous occasion. Residenza Logge del Perugino CITTA' DELLA PIEVE - Viale dei Cappuccini 7, - 06062 (Perugia) Tel. +39 0578.298927 / 0578.299926 Fax +39 0578.297340  CITTA' DELLA PIEVE, Umbria - Italy - The magical atmosphere of Historic Villa Logge del Perugino is ideal for Weddings. Available park with swimming pool. Please, request information ! Vecchio Molino - Historical Residence Campello sul Clitunno - via del Tempio, 34 loc. Pissignano [Spoleto area] - 06042 (Perugia) Tel. +39 0743.521122 Fax +39 0743.275097  SPOLETO area, Italy - [Rent] The magical Medieval flavour of the Historical Residence Vecchio Molino, near the Templet IV sec d.C. and the water of the Fonti of Clitunno, is ideal for large receptions and weddings. Castello di Borgo Monticelli - Historical Residence loc. Monticelli, Castiglione della Valle [Perugia area] - 06072 (Perugia) Tel +39 075 8787246 Mobile +39 338.3931013  PERUGIA area, Italy - [Rent] The magical Medieval flavour of Borgo Monticelli is ideal for large receptions and weddings, with its original 1230 ceilings in the Sala Gotica, its towers and its magnificent views. For the happiest day of your life we can guarantee quality organisation, catering, lodging for guests, flower arranging.